Disease happens when the body gets out of balance. Clay helps bring the body back into its natural state of balance. Clay is formed from ash spewed from a volcanic eruption which landed in an inland sea or lake bed and evolved over millions of years. Every piece of clay retains a considerable amount of energy from the large and powerful magnetic entity of the Earth. Raymond Dextreit says on the subject, ?/span>Among the properties to which we can attribute the effect of clay is radioactivity. ?/span> Not radioactivity as we know it. He says that clay is radioactive to a degree but this radioactivity is generally imperceptible to the testing apparatus used in laboratories at present. Scientists differ widely as to the significance of the radioactivity in clay. It seems that clay has, among other properties, the ability to either stimulate a deficiency or absorb an excess in the radioactivity of the body on which it is applied. On an organism which has suffered and still retains the radiations of radium or any other intensive radioactive source, the radioactivity is first enhanced and then absorbed. Clay could, in this way, ensure the protection of an organism overexposed to atomic radiations. One can only marvel at what clay can do. ?/span>The same teaspoon of clay can cure an obstinate carbuncle and tenacious anemia equally well. Curing the carbuncle is explained by clay?/span>s absorbent power?/span>.but anemia?! ?/span> questioned Raymond Dextreit, author of Our Earth, Our Cure. Well, it seems that clay is particularly rich in certain diastases and enzymes. Some of these diastases, the oxidases, have the power of fixing free oxygen, thus making it a powerful antioxidant. Clay?/span>s amazing abilities to adsorb and absorb make it one of the most powerful methods of cleansing the body by detoxing. Michel Abehsera, author of The Healing Clay, tells us that when used internally, whether taken orally, anally or vaginally, clay goes to the place where the harm is found. There it lodges, perhaps for several days, until finally it draws out the toxins or diseased tissue with its evacuation. Clay has high alkaline pH. Acidity is the breeding ground for disease. Clay brings pH into balance. Clay is a natural analgesic. It immediately reduces or eliminates pain when applied topically. Clay stimulates lymphatic glands, blood flow and circulation. A natural chelator and detoxifier, clay pulls toxins and impurities. French homeopaths documented that a system-wide detoxification effect occurs within seconds of placing Montmorillonite-type clay in the mouth, which demonstrates that the clay acts as a catalyst. A recent article in NaturalNews.com (แจก user ทดลอง เล่น ฟรีwww.naturalnews.com/022674.html) tells us that clay baths have become increasing popular as a safe and effective means of detoxing heavy metals from the body through the pores of the skin. Louis Kervran, the French scientist, world-famous for his provocative work on Biological Transmutations, writes about a shrimp that lives in clay: ?/span>It has been known for a long time that living organisms inhabit clay without any organic supply of food from the outside. The Niphargus shrimp lives in the clay of caves. Experiments have shown that it grows normally in pure clay to which nothing has been added. Research workers therefore thought that the shrimp lived on clay and nothing but clay, an impossibility according to the laws of biochemistry. Actually, it cannot live thus in clay alone, but this clay contains microorganisms which work for the shrimp, making vitamins, various mineral products, nitrogen, phosphorous, and calcium, etc. ?/span> Therefore clay is a live medium which helps generate and maintain life. Raymond Dextreit wrote he was certain of the antiseptic and antibiotic powers of clay but it puzzled him. Clay does not act specifically on one or several bacteria varieties; rather it prevents their proliferation by reinforcing the defenses of the organism. Thus again we see how clay brings the body into balance. In general, clay has remarkable resistance to chemical agents and only the most energetic ones can attack it. As a bacteria-absorbing agent it can render contaminated water innocuous. The nutritionist Linda Clark mentions in her recent book, The Best of Linda Clark, that a European doctor, Meyer-Camberg, recommends clay for neutralizing poisons. According to Dr. Meyer-Camberg, clay takes care of any bad poisoning such as arsenic. It suffices to take 1 teaspoonful of clay mixed in a glass of water every hour for six hours to be out of trouble. According to information found at Shirley?/span>s Wellness Cafe (www.shirleys-wellness-cafe.com), myths about clay and the elements that make up a clay molecule are rampant. One deals with aluminum. Clay is a super stable compound. All of the elements that make up clay are bound together and act as a whole. Alumino silicates are crystalline compounds, usually made up of silicon, aluminum and oxygen. They are tightly bound together. As long as the aluminum is bound in this form, it poses no health risk. The aluminum in clay is never in an isolated form, and is not adsorbed into the body. This refers to all metals in clay. They are in an oxide form tightly bound together. Clay is interactive with each person?/span>s individual specific chemical makeup. It adapts to your needs. As the Native American Indians said of clay, ?/span>It has a wisdom of its own. ?/span> From helping to prevent the proliferation of pathogenic germs and parasites to aiding with rebuilding of healthy tissues and cells, clay is a ?/span>living?/span> cure. 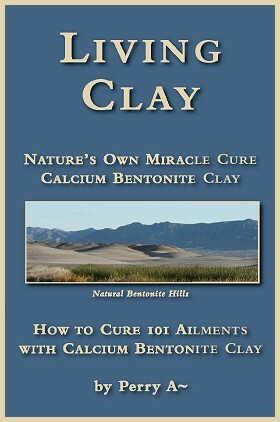 Perry A~ is the author of Living Clay: Nature?/span>s Own Miracle Cure and has been an ongoing student in the study of Bentonite Clays since the early 1990?/span>s. It was then she first tried a green healing Calcium Bentonite Clay that captured her fascination as to the amazing healing potential of dirt. She has been an advocate for this clay ever since. To read an excerpt from her book, please visit แจก user ทดลอง เล่น ฟรี www.LivingClayBook.com. Pour up to 2 cups of powdered clay in the bathtub and then run very hot water over the clay, as hot as it gets. Use a whisk or your hand to stir the clay around and to help it dissolve. When you've got about 3 inches of water in the tub and the clay is dissolved, start adding cooler water until the water reaches the desired temperature. The bath should neither be too hot nor too cool, but should be nice and warm, as warm as is comfortable. Bathing time depends upon your condition, but can be anywhere from 20 to 40 minutes. Please don't overdo it! If you stay in too long there is a small possibility you could experience what is known as a cleansing reaction and feel fatigue, headaches, muscle soreness, etc. 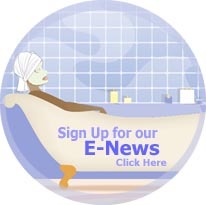 Be aware of your body?/span>s response to the first detox bath. Another option is to take about a cup of extra thick liquid Calcium Bentonite Clay and put it into the bath water. Others have used a full quart and more. It is highly effective in drawing out toxins. But too much, or too long exposure, may dry out the skin. If so, when necessary, follow the bath with a body lotion.